Makes writing a whole new experience! 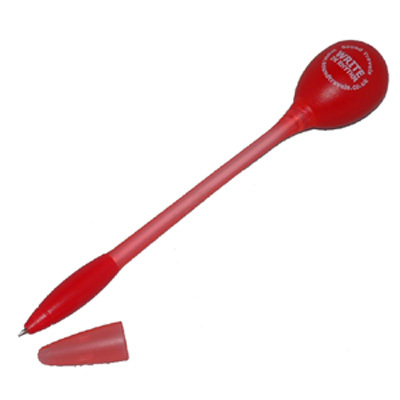 Write in rhythm with the Sound Travels maraca pen. Delivering the sound of professional maracas, they sound as good as they look. Made with blow-moulded construction for superior strength, durability, and aesthetics. Can be used on drums, table tops, steering wheels, and office cubicles.